As the name suggest this fungus is widespread and common throughout the UK and can be seen between late summer and year end. They often grow in clumps and at first glance can appear as an unexpected cluster of stones on an otherwise uniform body of ground. Before we go any further they are considered poisonous so if for some strange reason you thought one of these might make a tasty snack, it won’t. 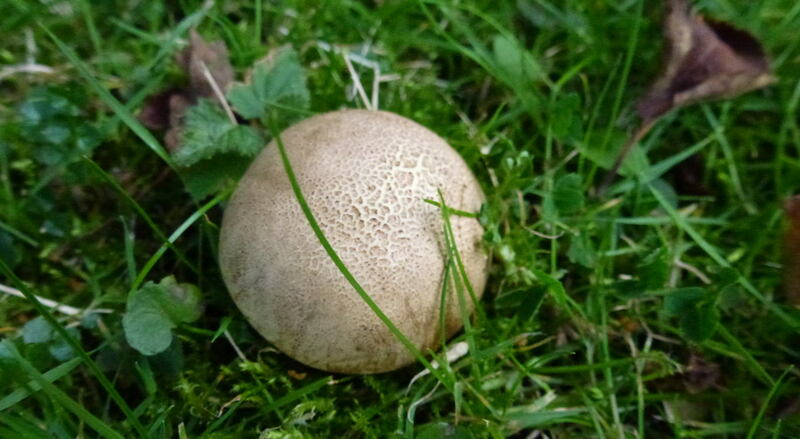 This is a common earthball and not that golf ball you lost last week. They consist of a ball like growth that is held to the ground via several anchoring root structures rather than a distinct stem. 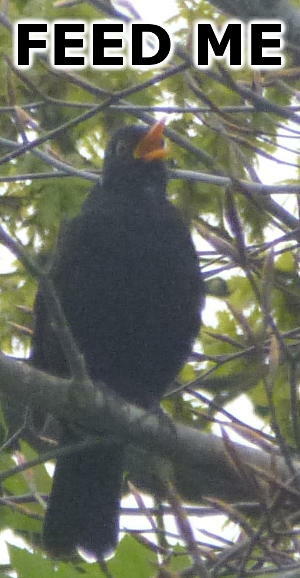 As a result if you nudge them with your toe they will not bend and move staying relatively sturdy. 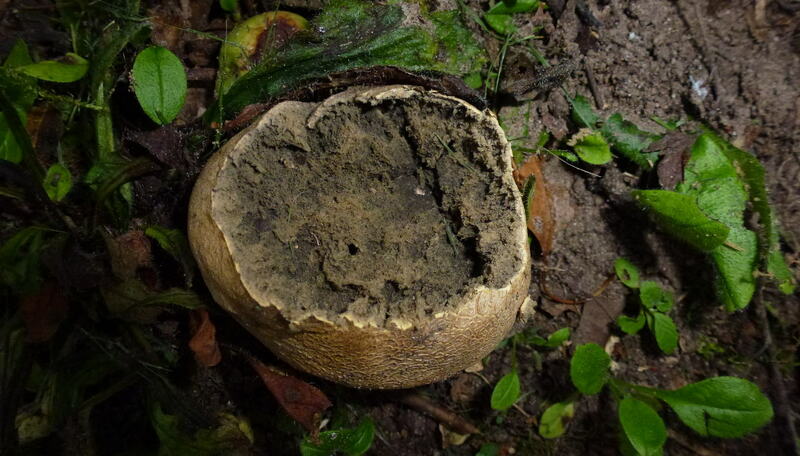 This earthball looks like it’s had a close encounter with a lawn-mower. When they explode naturally to broadcast their spores the damage is not usually so extensive. Within the globe is a mass of spore producing tissue. Once the earthball has reached maturity it will explode open releasing the spores from within to be dispersed by the wind or rain.